the last one in Alaska, last November has the same characteristics. It just went on and on and on and on. there are still a dozen or so businesses that have not reopened and several hundred homes unsafe to live in. My brother's curtain rods felt it 600 miles away in Juneau. We were watching the numbers and magnitudes of aftershocks. 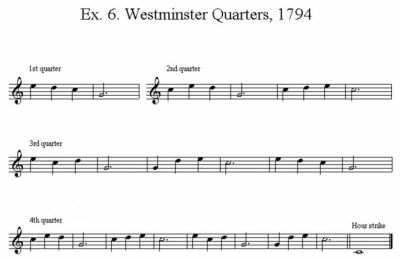 There were 1,800, five of those greater than 5.0. I was surprised there were no fatalities. 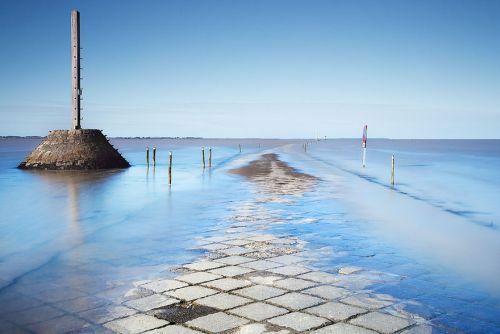 The Passage du Gois (Goa) is an interesting location in France. Probably this causeway is so unique that you cannot encounter it anywhere else in the world. The causeway links the island of Noirmoutier and the French mainland. 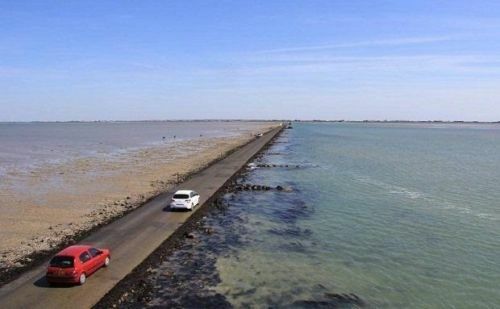 The 4,125 meters long causeway is only accessible with low tide and then only 1 ½ hours before the lowest tide and 1 ½ hours afterwards. 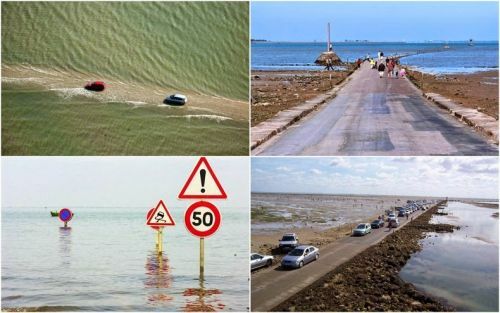 For the rest of the day it is not possible to cross the Passage du Gois, because it is flooded. 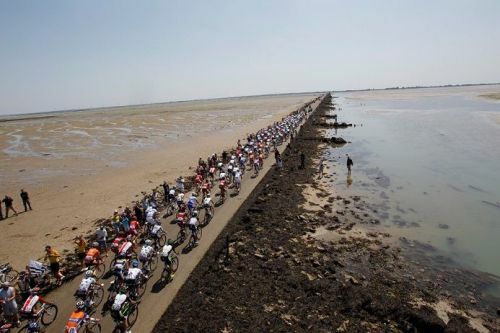 The Tour de France bicycle race has used the Passage du Gois since 1999. Whoa! I've driven dangerous mountain roads before without being a nervous wreck. That one? Nope. Nope. Nope. 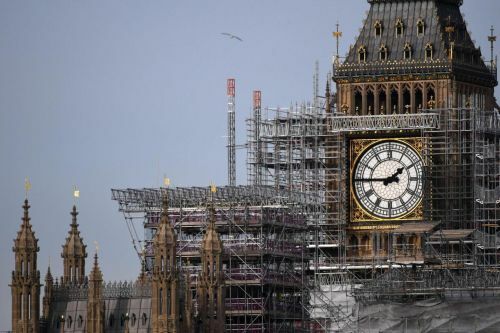 The Elizabeth Tower and the Great Clock are currently being completely renovated. Renovations started in 2017. 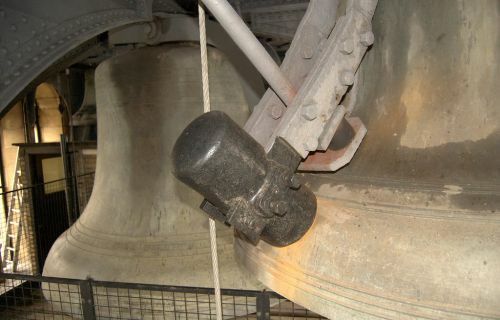 Although the clock will only be out of action for two years, the bells have to be silenced for the entire renovation period (or 4 years) to protect the workers’ hearing. 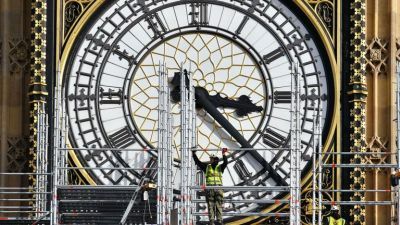 Big Ben will, therefore, be silent until 2021. There are exceptions, however. 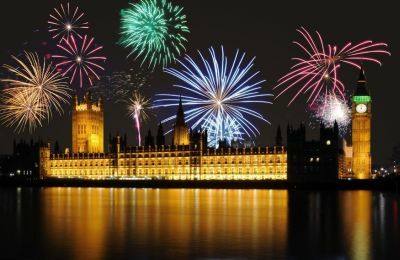 It will chime during certain periods, such as the start of the New Years Eve and on Remembrance Day. 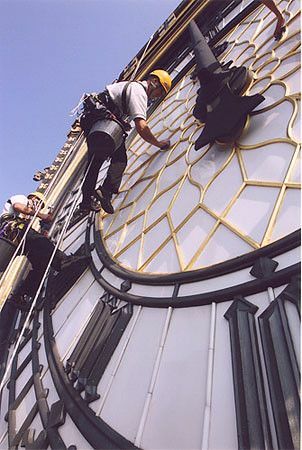 The Big Ben bell weighs 13.76 tons and chimes at 118 decibels. At that volume, people would suffer hearing damage after just 14 seconds of exposure. 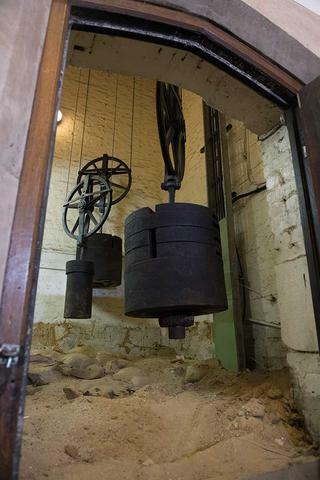 To stop the bells, the weights that drive the mechanism have to be lowered to the bottom of the tower and secured. This process takes half a day to do, so it isn’t practical to restart them after each workday. 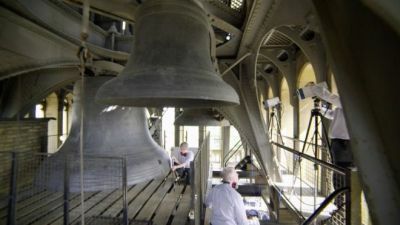 Historically, it has chimed every 15 minutes and has rung out mostly uninterrupted for 157 years. 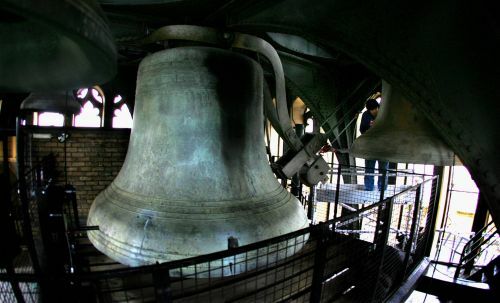 The last stoppage for maintenance was in 2007, and refurbishment works previously silenced the bell from 1983 to 1985. 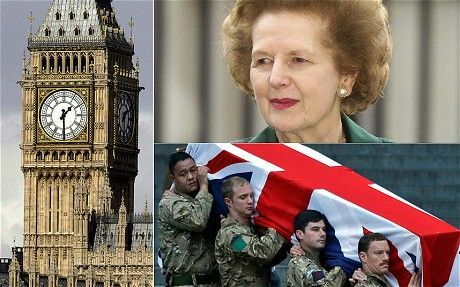 It was also muted for former Prime Minister Margaret Thatcher’s funeral in 2013. Known scientifically as Anoplogaster cornuta, this menacing creature haunts the deep waters of many of the world's oceans. 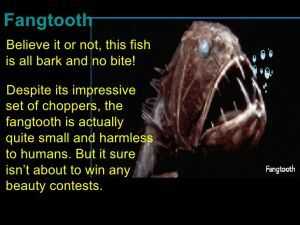 The fangtooth gets its name from its rather impressive looking teeth, which are actually the largest teeth of any fish in the ocean when taken in proportion to body size. 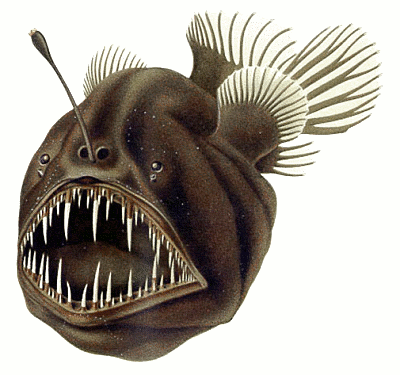 Because of its unusually grotesque appearance, the fangtooth has earned the nickname "ogrefish". It’s not a large fish; mostly just a few inches long. And because of this, it is relatively harmless to humans. 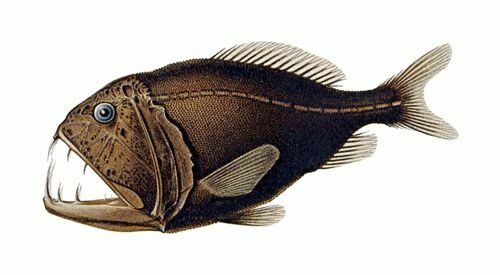 These fish have mouths that are full of long, pointed teeth, perfect for catching and hanging on to prey of just about any size that wanders by in the deep sea. 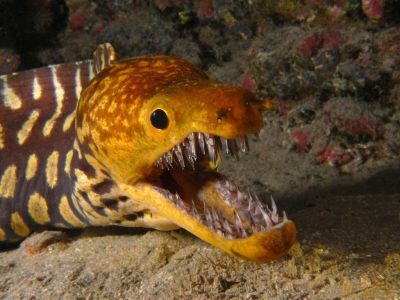 And, yes, there’s an Eel variety, too. 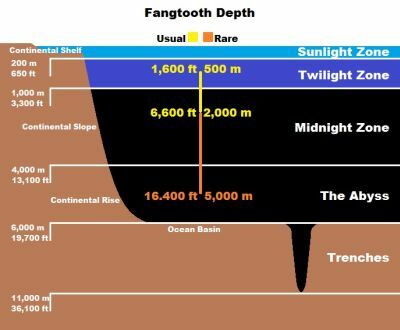 Fangtooths are deep-sea predators that have been recorded at depths of well over 16,000 feet (nearly 5000 meters), although, admittedly, this depth is rare. 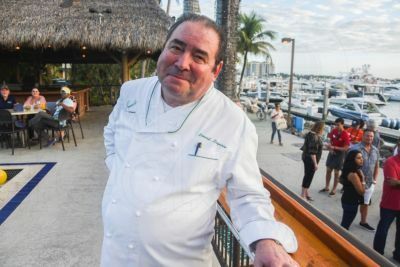 Several famous people will be celebrating their 60th birthdays in 2019. 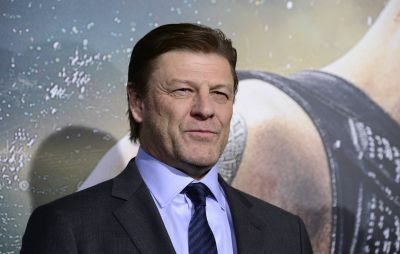 Action heroes, pop stars and top athletes are all joining the list of famous 60 year olds. 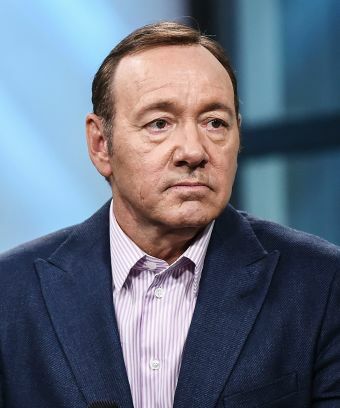 Some sixty-year-old actors don't look a day over 50 while other famous people who are 60 haven't aged well. 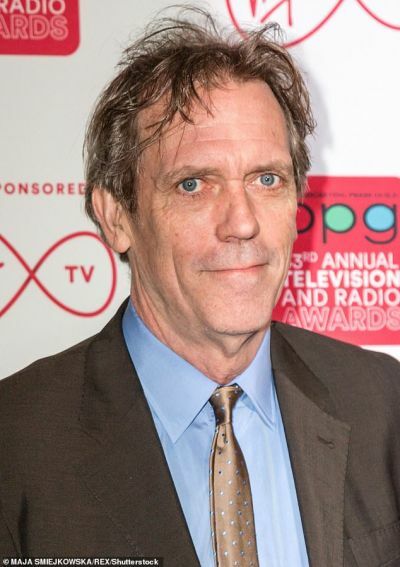 Many celebrities over 60 are at the top of their game both personally and professionally. I’m 73. Happy Birthday, Young’uns! 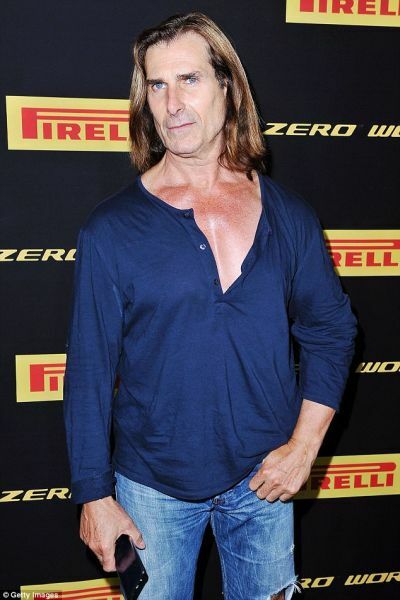 Oh, come on Fabio, that just looks creepy! 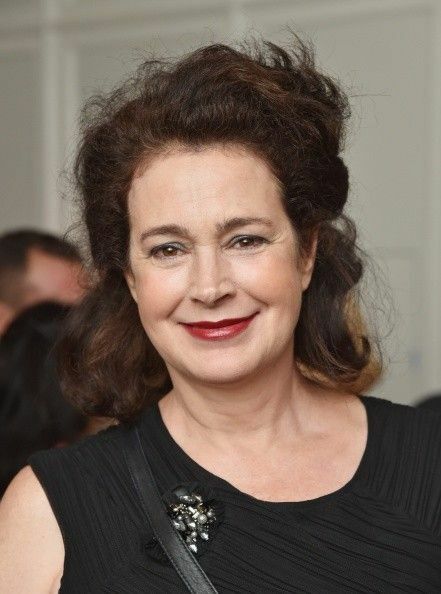 And to think I used to worship Sean Young as the woman of my dreams. 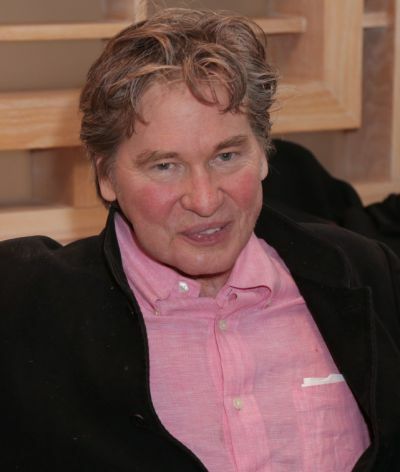 Val Kilmer has aged even worse than I have. Looks like he ran into something face-first. Born on October 8, 1985, in Honolulu, Hawaii, Peter grew up in a very musical family. His father, Doo-Wop Hall-of-Famer, Pete (yep, same name), was a half-Puertorican percussionist from Brooklyn. His Filipina mother, Bernadette ("Bernie"), was a singer. The family consisted of mom, dad and five siblings. 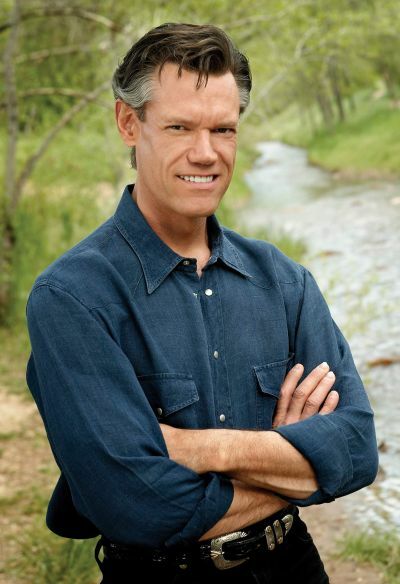 By the early 2000s, Peter had begun to find success by writing songs for popular artists. 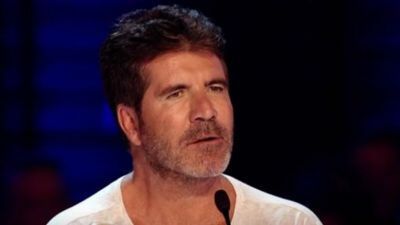 After several years as one of pop music's premier songwriters, Peter broke out as a singer in his own right. 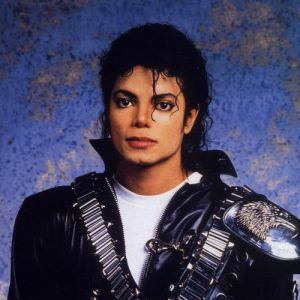 As a young teenager, Peter appeared in a local revue impersonating Michael Jackson, and he taught himself to play piano, guitar, bass, and percussion. After graduating from high school, he moved to Los Angeles to be a musician. 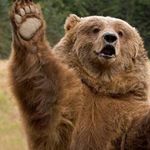 He had a failed gig with Motown Records, but ended up signing to Atlantic instead. Although no recordings resulted from his Motown experience, the relationship did pave the way for Peter’s introduction to songwriter Philip Lawrence. Peter, Lawrence, and sound engineer Ari Levine began writing and producing songs for other artists under the name the Smeezingtons, creating new music with a vintage feel. The team became very popular and has been much in demand since its inception. 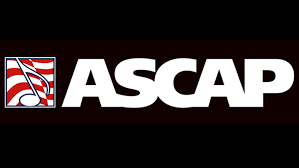 The team has worked with various artists and received mainstream awards including the ASCAP Pop Music Awards for Songwriters. 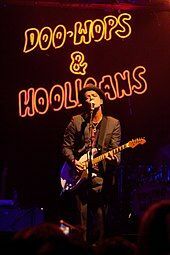 In July 2010 he released his first solo single, “Just the Way You Are”, from his debut studio album, ‘Doo-Wops & Hooligans’, released after a few months in October. The single peaked at No. 1 on the Billboard Hot 100. 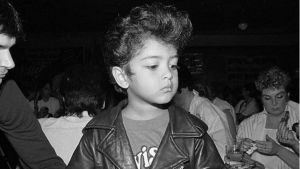 The album was named "the year's finest pop debut” and catapulted Bruno Mars (Peter’s newly-adopted stage name) to international stardom.